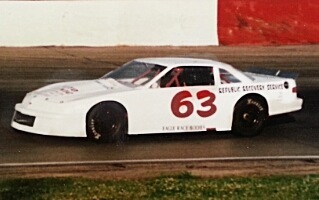 Jerry Kemperman returned to competition in 1991 through 1993 and drove his son Jerry John’s 1992 Lumina to his final feature race victory, taking a 25 lap victory at the Grundy County Speedway on August 28, 1992. Jerry Kemperman passed away in March of 2004. Jerry Kemperman was a product of the “rough and tumble” racing action at Chicagoland’s Raceway Park. Kemperman won a total of 107 feature races at the tight quarter mile paved oval, which was only minutes from his Blue Island home. Kemperman wheeled his trusty Plymouth in 1961 and 1962 at Raceway Park, winning a heat race during the ’62 campaign and finishing 20th in the final 1962 standings. 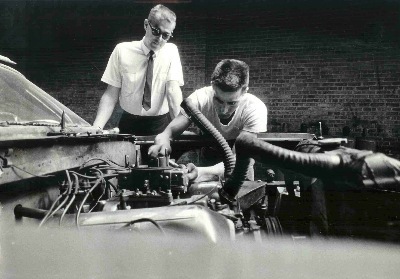 Kemperman joined forces with car owner and ace mechanic Dave Roulo in 1963, driving Roulo’s Chevrolet to his first career feature win on July 10, 1963. Kemperman topped off the ’63 campaign, winning Raceway Park’s annual 300 Lap Classic in his Roulo-prepped ’63 Chevy in September. Kemperman came home sixth in the final points tabulation with a total of four main event victories to his credit. Following a pretty successful ’63 season, Kemperman’s luck soured the following year (1964) with Kemperman not scoring a feature win during the year as he again drove for Roulo. During “hot laps” about mid-season, Kemperman broke a wheel and crashed hard into the wall with Kemperman escaping serious injury with some broken ribs and other assorted bruises in the fiery crash. Kemperman finished ninth in the season-ending points tally with a couple of runner-up finishes being his best performances. Kemperman drove for Paul Bauer in 1965 and 1966, guiding Bauer’s full-size Chevrolet to a total of 11 feature wins at Raceway Park over a two-year period. Kemperman finished fifth in the points in 1965 and second in the standings in 1966. Kemperman whistled around Raceway on August 20, 1966 in Bauer’s ’66 Chevy in 12.70 seconds to set a new qualifying track record. Kemperman and Roulo again teamed up in 1967 with Kemperman wheeling Roulo’s black Chevy to two feature races at the Blue Island speed plant and ending up third in points. The Kemperman/Roulo duo were tops in their class at Raceway Park in 1968 with Kemperman piloting Roulo’s rapid-running mount to 15 feature wins during the season and claiming track championship honors. Behind the wheel of Roulo’s full-size 1967 Chevy No. 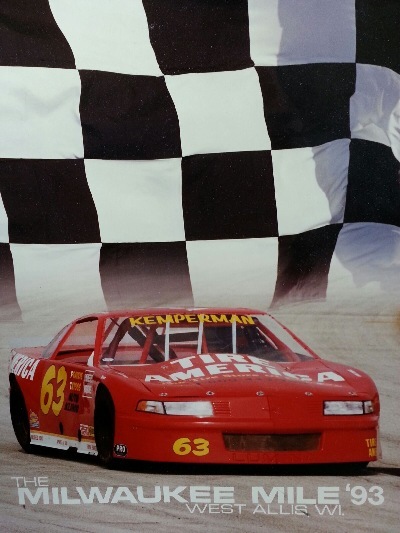 6, Kemperman was also crowned the champion at the Mazon Speed Bowl that season. Kemperman “kicked off” the new season in ’68 by winning the “opening night” feature race at O’Hare Stadium in Schiller Park. Kemperman even tried a little USAC stock car racing in ’68, driving the Bob Pronger/Harry Withall ’67 Dodge at Milwaukee. Kemperman and Roulo split up the following year with Kemperman racing the Bud Koehler/Bill Koenig team’s backup Chevelle at Raceway. Kemperman won four features in 1969. Kemperman started driving for newcomer Eddie Fons in 1970, guiding Fons’ “fastback” Chevelle to one feature win at Raceway. The Kemperman and Fons duo became a winning combination at Raceway Park for a number of years with Fons, Fran Dandurand and Jim DeGraff fielding some potent cars for Kemperman’s expert driving skills. Kemperman would win his second 300 Lap Classic at Raceway in 1971. 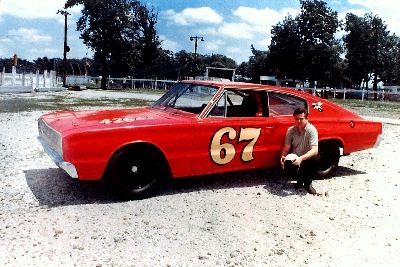 Towards the end of 1975, Kemperman appeared on the scene with a fresh AVC Camaro, winning a feature race on the half-mile at Illiana Motor Speedway in Schererville, Indiana. Kemperman started 1977 at Raceway Park with a “bang” winning a total of 12 early-season main events. A disagreement with track management led Kemperman to leave Raceway Park and venture to ovals like Illiana, Grundy County Speedway in Morris and the Waukegan Speedway, north of Chicago.Kemperman enjoyed a “career season” in 1977, winning a reported 28 feature races in 53 starts at various tracks throughout the Midwest. During the ’76 campaign, Kemperman went for a wild ride “out of the park” at Illiana after he tangled up with a slower car and flew over the guardrail at the end of the backstretch at the Illiana half-mile. Kemperman ended 1976 with a couple of 50 lap victories at Waukegan and began the ’77 season at Waukegan, pocketing a couple more 50 lap wins. 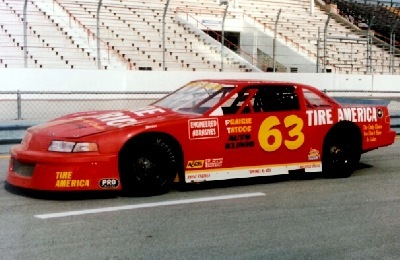 Kemperman raced in a number of ARTGO Racing events during his career. One memorable race was the Cam2 ARTGO Classic 100 lapper at Grundy in May of 1976. Battling with the likes of Bob Strait, Randy Sweet, Dave Watson and NASCAR star Bobby Allison, Kemperman got tangled up and spun, peeling off Allison’s left side door with the front nose of his car. After the races, Allison came looking for his door and, to this day, no one really knows whatever happened to the “prized” souvenir. TN Freddy Fryar qualified Marty's car for him. Kemperman “came home” to Raceway in 1980, finishing sixth in the points. He was fifth in 1981; sixth in ’83 and second in ’84 with 12 feature scores, joining forces with car owner Rich Halligan during most of these years. Bowing out of racing and undergoing heart surgery.